Xiaomi has launched its first Mi Gaming Laptop at the Mi Mix 2S launch event in China. The Mi gaming laptop comes with up to 6GB GeForce GTX 1060 GPU, 16GB RAM and the latest Intel Core i7 processor. It also has features like large heat pipes, a cooling fan and four fan outlets for effective heat dissipation while gaming. The new laptop from Xiaomi also comes with a keyboard that supports 16 million colors over four zones, and 30-key rollover for precise and accurate gaming input. The laptop has a 15.6-inch full HD screen with slim bezels and 81% screen-to-body ratio. It also has five programmable keys for quick access to important functions, HDMI 2.0 and USB-C ports. Mi Gaming laptop sports a 15.6-inch (1920 x 1080 pixels) anti-glare display with 178-degree wide viewing angle, 300 nits brightness, and 72% NTSC color gamut. The laptop runs Windows 10. It is powered by 7th Gen Intel Core i5 or i7 processor with 4GB DDR5 NVIDIA GeForce GTX 1050 Ti or 6GB DDR5 NVIDIA GeForce GTX 1060 GPU. Memory options include 8GB or 16GB DDR4 2400MHz RAM, and 256GB or 128GB SSD + 1TB HDD inbuilt storage. The Mi Gaming laptop features a 1MP HD webcam, and a digital array microphone. It features a 1.8mm High Key Professional Backlit Keyboard with 16 million colors over four zones. The laptop gets power from a 55Wh battery with up to 5.5 hours of local video playback, or 6.5 hours of web browsing. Connectivity options on the gaming laptop include WiFi 802.11ac 2×2 (2.4GHz and 5GHz), Bluetooth 4.1. There are 1 HDMI, 4 USB 3.0, 1 USB Type-C, and 1 Ethernet ports. There is a 3-in-1 card reader, 3.5mm audio jack, 2 3W speakers, High Thrust Headphone Amplifier, Dolby Panorama, and Sony Hi-res audio support. The Mi gaming laptop with Intel Core i5, 8GB RAM, GTX Ti 1050 GPU, 128GB SSD is priced at 5999 yuan (Rs. 61,980 approx. ), while the Intel Core i5, 8GB RAM, with GTX Ti 1060 GPU, is priced at 999 yuan (Rs. 72,313 approx.). 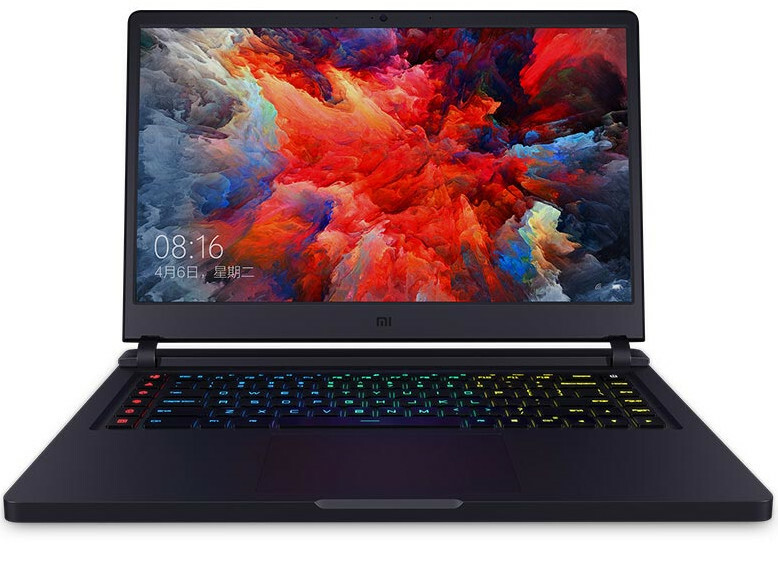 Further, the Intel Core i7, 8GB RAM, GTX Ti 1060 GPU, 128GB SSD version of the laptop is priced at 7999 yuan (Rs. 82,645 approx.) and the same i7 model with 16GB RAM and 256GB SSD costs 8999 yuan (Rs. 92,975 approx.). The Xiaomi Mi gaming laptop comes in Space Grey color and will go on sale in China starting from April 13.